Indies Explorer Surf Charters donate 2 places on 2014 Surf Trip as prizes. 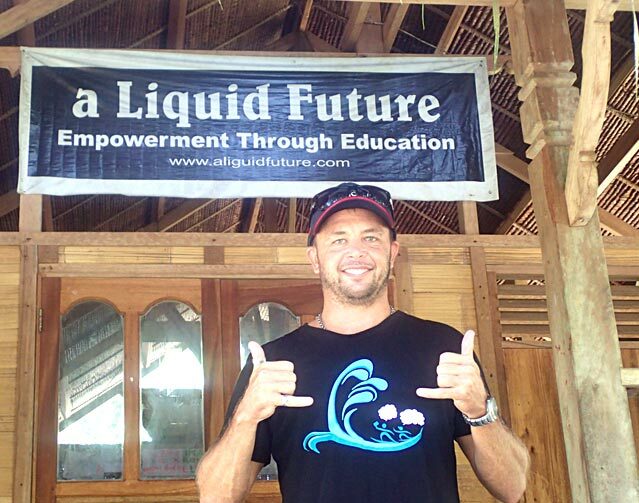 Warren Hanley (pictured above) and partner Daniel Tuck co-owners of Indies Explorer Surf Charters, which run surf trips through the Mentawai Islands, have put up two spots on a trip for 2014 as first prize at A Liquid Future’s fundraiser in Byron Bay on June 20th. AWESOME guys! On occasion the surf charter boat industry and land-based surf tourism, including local communities have competing agendas. Surf charter boats want to provide their guests with uncrowded waves. Locals and land-based resorts want tourists to stay on the land and control the number of surf charter boats at a given break as this stands to benefit them. As with most situations finding a harmonious balance is key. With the likes of Wazza and other great surf boat captains around let’s hope the situation finds that happy medium. Cheers Wazza and Daniel and to all the other surf charter boats contributing and helping the local communities!